Ilbert de Lacy (2), the grandson of the first Ilbert of the Conquest who confirmed his father Robert’s grants in 1135 to Ralph the Red and identified him his brother on a witnessed charter by his Yorkshire tenets. Ilbert was a faithful supporter of King Stephen who was the grandson and heir of the Conqueror by William’s daughter, Adela. 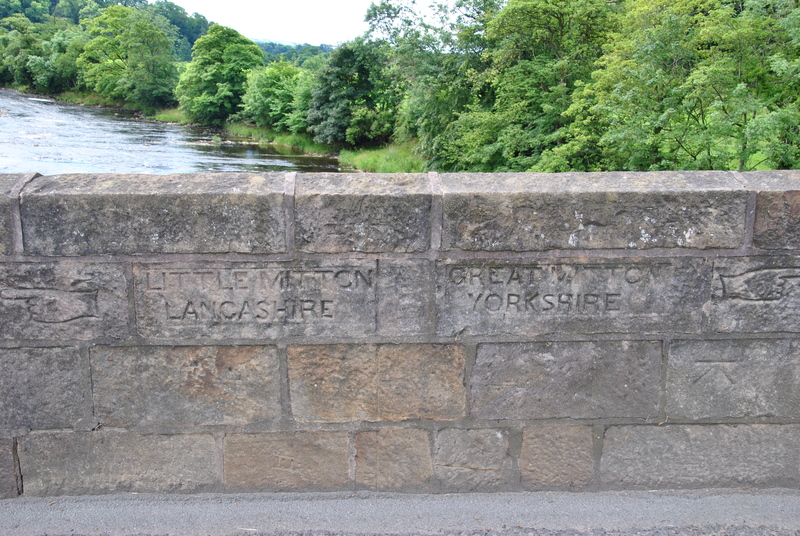 Stephan became King in 1135 succeeding his Uncle King Henry l. King Steven immediately returned to Ilbert de Lacy (2) the previous confiscated de Lacy lands from a previous *conflict with his predecessor King Henry l .
Old dividing line on Mitton bridge for Lancashire (Little Mitton) and Yorkshire (Great Mitton). Since 1974 this is all part of Lancashire. llbert de Lacy was a loyal supporter of Stephen and was a principal commander at the celebrated Battle of the Standard at Northallerton where the Scots suffered a great defeat by the Norman Barons. When Ilbert gained back his Barony after King Stephen’s ascension in 1135 he immediately re-confirmed the original 1102 sub-feudal grants to “frater meus” meaning my brother, “Radulphus le Rous”. These manors consist of the same Royal grants originally granted by Henry 1 to Robert de Lacy and then immediately sub-feudaled to “Ralph the Red” Nov. 23 1102. So we have two historic charter documents to confirm Ralph’s identity and his connection to the Norman de Lacy family. Ilbert repaid King Stephen with his own liege service during a tumultuous time defending Stephen’s crown from Matilda, Henry I’s daughter. She believed that she and not Stephen was the rightful heir to the throne. Matilda precipitated a civil war to overturn the Barons’ decision to have her fathers nephew Stephen as king. * When Robert de Lacy (1) was dispossessed in 1114, his lands were given to Hugh de Laval and after his death to William Maltravers, who was murdered shortly before Ilbert’s return. Defending the Realm: the Battle of the Standard: The Battle of Northallerton, better known as the Battle of the Standard, was a battle between English and Scots forces on the 22nd August 1138. Ilbert de Lacy fought against the Scots in this battle and his brother, Robert, was killed. He is said to be the only Norman knight to lose his life there. 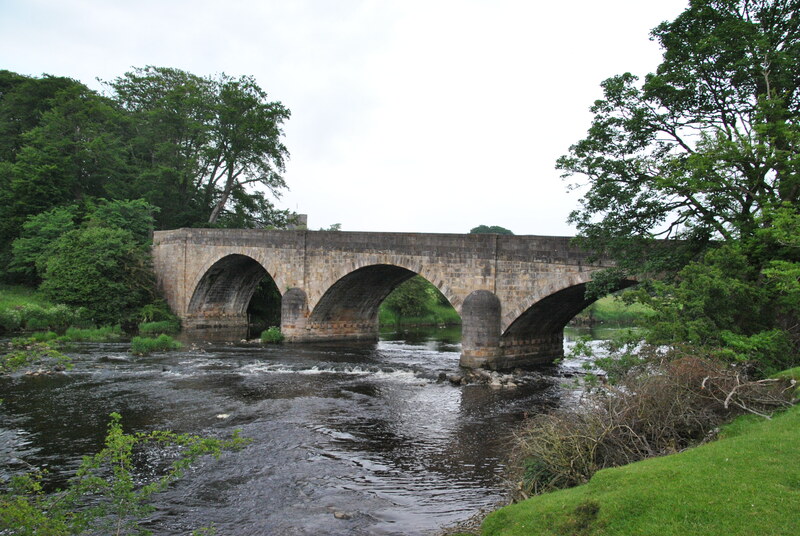 As Ralph was a beneficiary of de Lacy grants from Ilbert only a couple of years before the Battle of the Standard, he probably fought there as well and at the battle only a few months previously at Edisford Bridge near Clitheroe where the English were soundly defeated by the Scots. Ralph would have had good reason to defend his lands (granted and confirmed by Ilbert in 1135) from Scottish encroachment. Ralph, like Ilbert would thus have been a strong supporter of King Stephen and would have owed the superior de Lacy Lord “knights service” as military service.